Arbind Kumar is one of the re-known Social Activists and has been associated with People's Centred initiatives for community based conservation of natural resource management and human dignity. As a Convener to the Sukhar Virodhi Abhiyan, a state level network of Farmers, CSOs, Academicians and social activists in Jharkhand for community initiatives and Policy advocacy on drought mitigation, and honoured by the Central Ground Water Board, Govt. of India for his outstanding contribution to water-centred development he has shaped and influenced policies on water conservation in Jharkhand. As a pioneer of Civil Society movement in Jharkhand he has been a mentor to many growing up organizations in the Eastern India. Swapna is a tireless women activist engaged in organizing women for literacy, self help and entrepreneurship. A Graduate and grass root social activist with more than 20 years involvement in women empowerment. 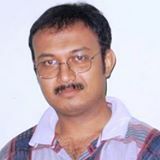 Krishna, a post graduate in Geology and Law Graduate has previous track of development support to grass root organizations and other agencies in Eastern India region for more than 15 years period. As a social entrepreneur and innovator he has been recognized by the Birsa Agriculture University for development of Saral Usna - Rice parboiler, a low cost energy efficient technology for rice parboiling. He has been also recognized by the Govt. of Jharkhand for introducing the idea of Farmers' Single Window System which has been adapted and introduced in the Annual Budget 2016-17 of Jharkhand Govt. under Yojna Banao Initiative. A Banker by profession, Sanjay has been the founder of Abhivyakti with team members. He has deep passion for arts and literary activities that led to initiate Book Fair, Srijan Mahotsav, Rang Utsav and many more culturally enriching events at Giridih. Rupam is an accomplished Music Coach and Youth Accompanist by passion. He is a graduate with PG Diploma in Rural Development and a free lance development consultant working with grass root organizations in Jharkhand. Masters in Social Work, Babita is presently working as a non profit manager in Jharkhand. She has been identified by Global Call for Action Against Poverty as brand promoter for action against poverty. She is also a post graduate in Journalism and Mass Communication and focus on the process of women in development. Dr. Gita Dey, formerly Principal In-charge of Ram Krishna Women's College, Giridih is well known and recognized as the Iron Lady of Giridih. As an Education Administrator she has successfully developed RK Women's College as an excellence centre for continuing education of Girls in Giridih and shaping it from the scratch. She has been actively involved in promotion of youth life-skills and empowerment of Girls to attain highest pursuits in their life.